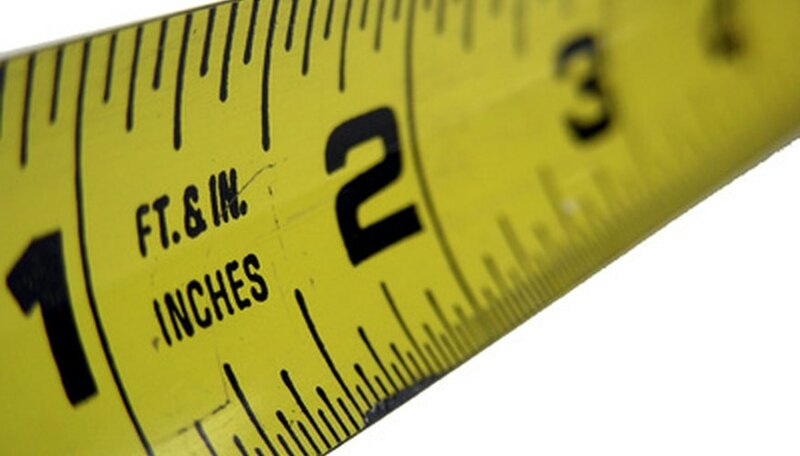 In the United States, inches is the standard unit of measurement for small distances. However, that is slowly changing with the increased importation of foreign products, which are produced based on the metric system's millimeter measurement. Inches can be easily converted into millimeters with simple multiplication. It does not matter if the inches are whole numbers, decimals or fractions, the conversion only requires a conversion multiplier. Find the length in inches. This can be done by referencing a fact or measuring an object with a tape measure. Multiply the number of inches by 25.4 to convert them into millimeters. As an example, if you had a length of 8.125 inches, you would multiply that number by 25.4 to equal 206.375 millimeters. Round the number off to the same number of "significant figures" as the original measurement. Significant figures are any digits (except zeros) placed to the left of the first non-zero number. In the example, 206.375 is rounded to 206.4 millimeters. Taylor, C.. "How to Convert Decimal Inches into Mm." Sciencing, https://sciencing.com/convert-decimal-inches-mm-7843473.html. 24 April 2017.